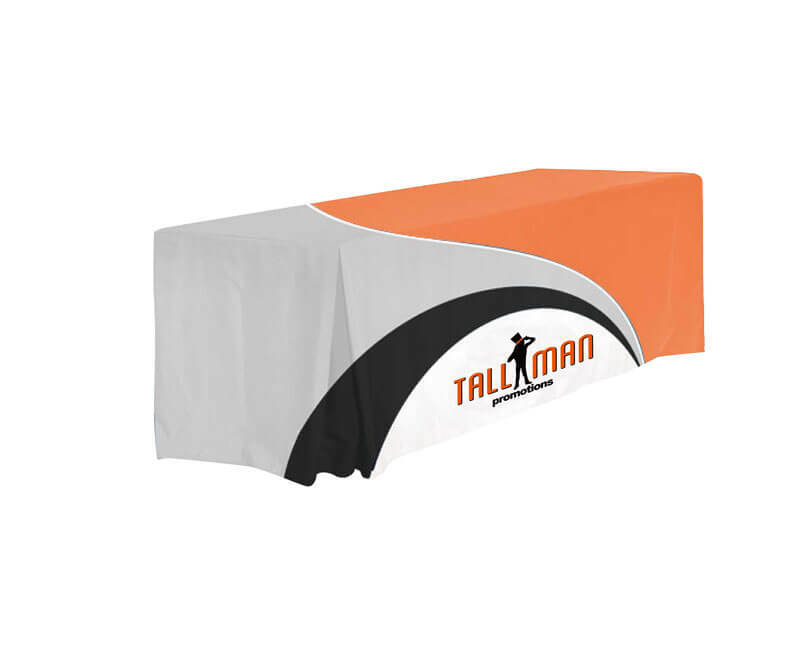 Printing possibilities are endless with our eye-catching table covers. 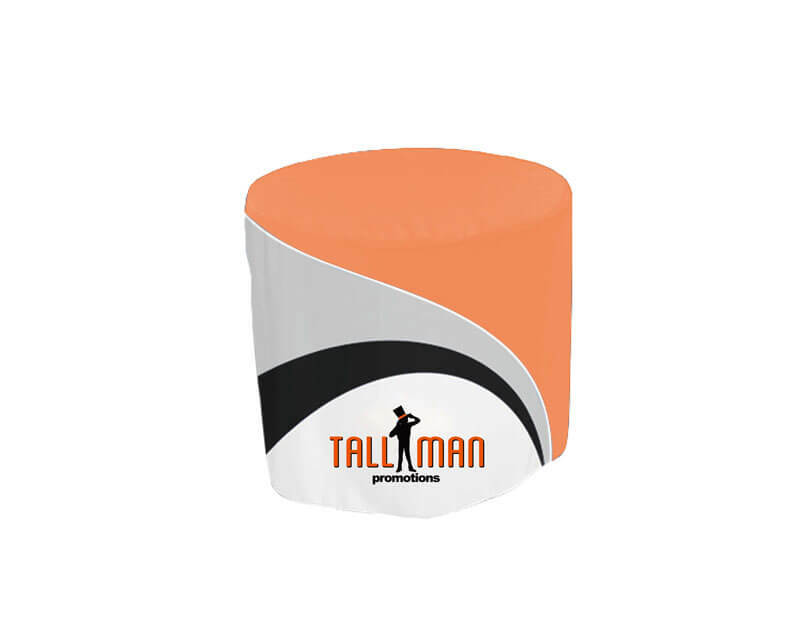 We can print on all sides, including the top. 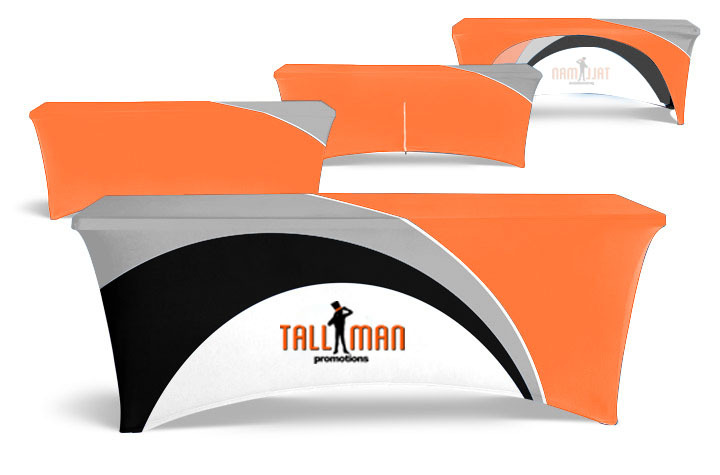 This is a perfect way to get your message across at your next event. 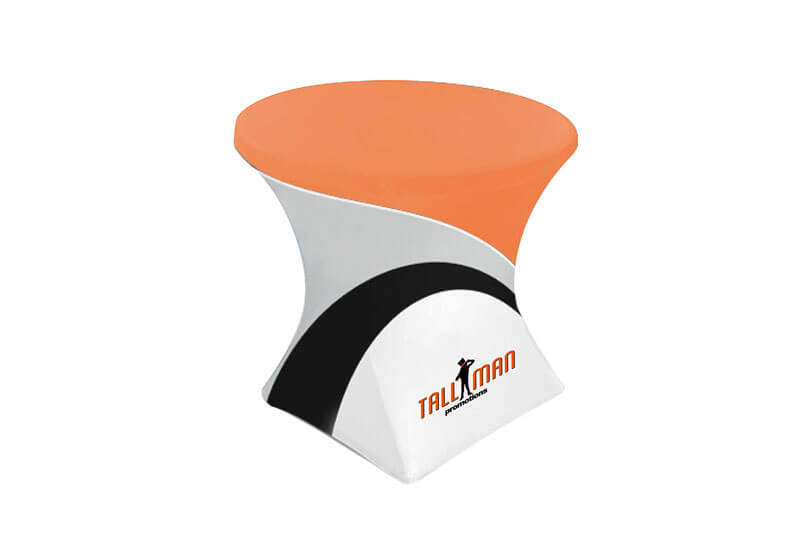 Cover up the boring look of a plain table with a TALLMAN.PROMO table cover! We can work one-on-one with you to find a perfect design or put the finishing touches on your idea. We will be sure to set you up with the right size, model and shape for your event. 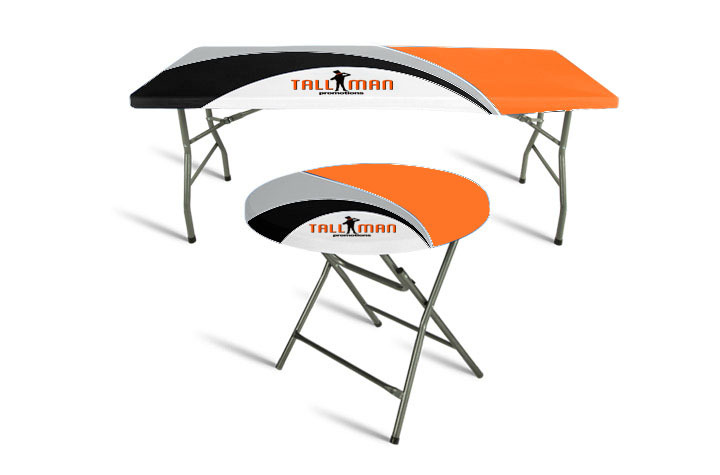 Tables come in various shapes and sizes – square, rectangle or circle. Our lengths go up to 8-feet. 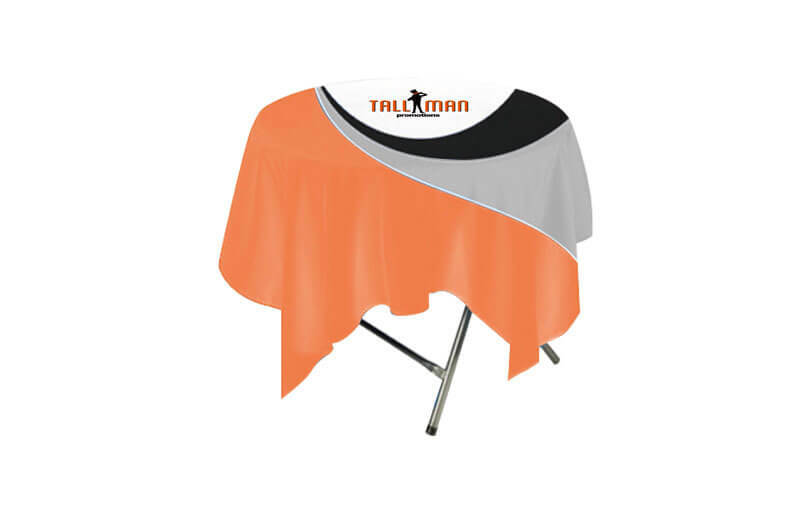 From a relaxed fitted table cover to a loose table throw, with lots of different options, you are sure to get a great cover. 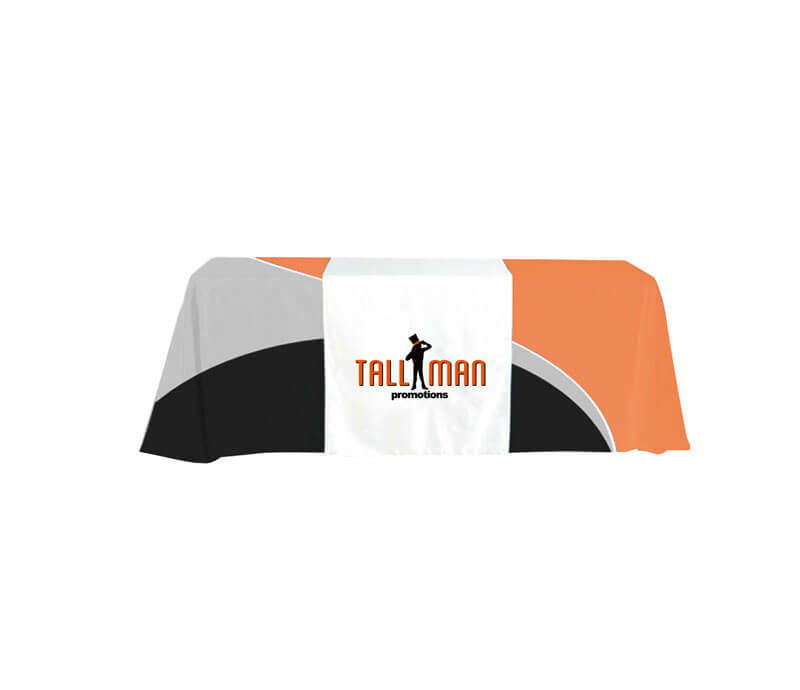 Contact us now for a table cover for your next event.